We’ve had a nice spell of warm weather, and a good rain last night which bodes well for the still very small morels in the woods near my house. I took a quick look this morning, and found that the mushrooms in the spots I’ve been eyeing are still too small for picking. I’m taking my chances, and giving them a few more days. In particular, I’m excited by a nice fruiting I’ve found under a newly dead elm. I spotted the tree earlier this spring, and when I visited it a week ago, sure enough, there were some dinky morels just starting to pop. I found that tree when I happened to look up from the forest floor, and scanned the tree tops. It was easy to spot the dead tree. The voice of a departed way-too-soon friend, Mark, popped into my head. He told me last year that he looks for trees just starting to shed their bark. Those are about perfect, he told me. The dead tree I had spotted showed a few bare patches. 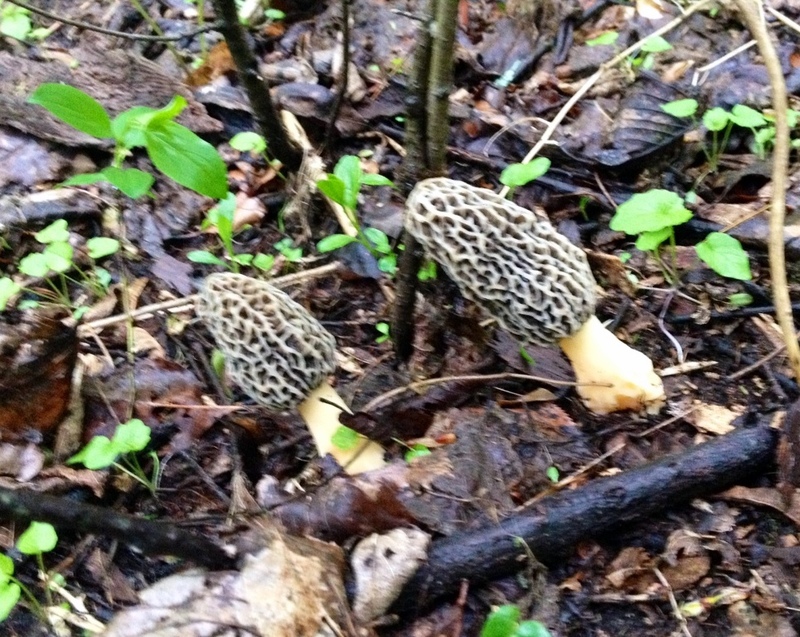 And sure enough, there are the morels. So now I’m sure to look up before looking down. And each time I do, I say a quick thanks to my friend, who I am sure is looking down on me and my fellow woodland trampers, quietly guiding us to those elusive morels. 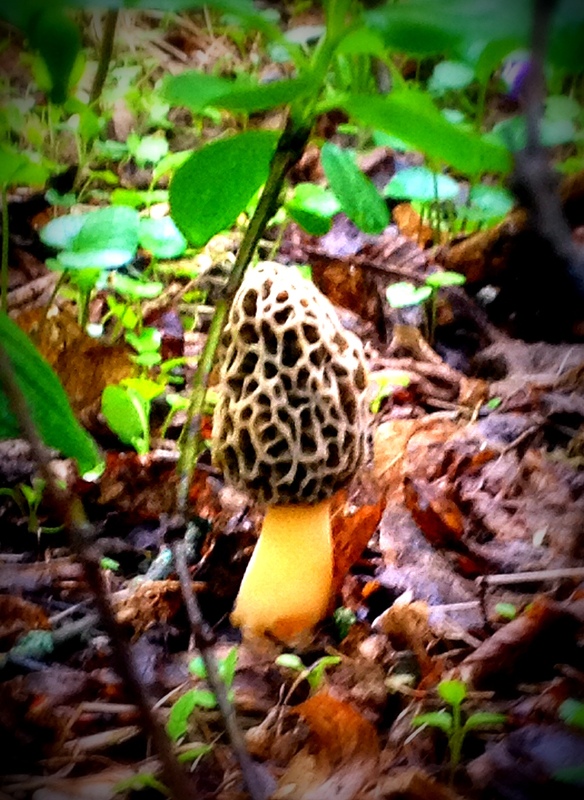 This entry was posted in edible wild mushrooms and tagged morel mushrooms 2013. Bookmark the permalink.